There’s an air of excited anticipation at Little Desert Lodge, near Nhill, in the Western Victoria Wimmerra, as long made plans are turning into on-ground action. 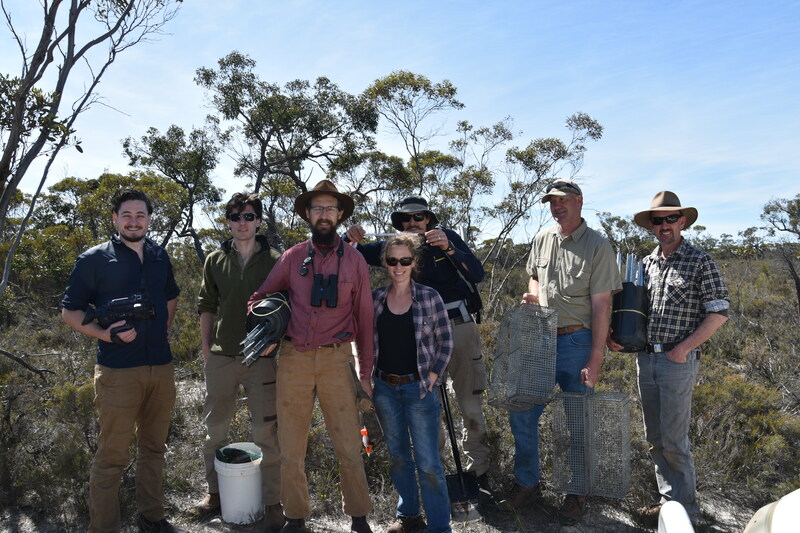 An innovative partnership between Conservation Volunteers Australia (CVA) and FAUNA Research Alliance (FAUNA RA) is set to commence work rewilding the Little Desert. Rewilding is the process where lost or missing ecosystem functions are returned to an area by returning the animals that provide the required functions naturally. If the digging mammals ‘soil engineers’, like bilbies or bettongs, have become locally extinct then the service they provide to the ecosystem (soil nutrient turnover) will not occur resulting in impoverished soils. Poor soils impact on all other inhabitants in the ecosystem including the animals and plants. If a native predator like the western quoll is missing from the ecosystem, this can result in an over-abundance of small mammals, reptiles and invertebrates that are causing the decline of key plant species. In short, rewilding is the process of getting an ecosystem back into its former ecological shape. Starting this week, stage one of this exciting process will commence with the first stage of a thorough and long term ecosystem monitoring program which will eventually role out across the three main project areas: The Little Desert Lodge (117ha with predator proof fencing); The Sanctuary (120ha also protected by predator fencing) and Salvana Conservation Reserve (1200ha which links the western and central blocks of the Little Desert National Park). Scientists have descended on the Little Desert area to poke, prod, trap, spotlight, photograph, sample the soils, identify the plants and a whole lot more. This monitoring program will determine exactly what state the area is currently in and give important indications as to what each study area requires to return this unique ecosystem back to full functionality. What’s missing? What’s there that is possibly causing problems? Are there introduced weeds or introduced pest animals like rabbits or foxes? What are the significant differences between the areas protected by predator proof fencing and the areas open to free movement of natives and pest species alike? 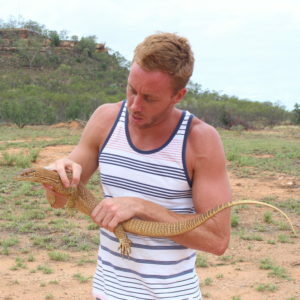 This ongoing monitoring is a critical part of the FAUNA RA project. We don’t just want animals back we want to document and understand how the ecosystem changes in response to their return and whether we have rebuilt a self-sustaining system. Some of the methods that will be used to investigate the ecosystem health of the Little Desert might seem a bit strange to the novice. Ever heard of the Lipton tea bag index? No? Me neither! A key indicator of soil health is how fast leaf litter and other detritus breaks down in the soil making it available for nutrient recycling. By burying standard commercial tea bags for a set period of time and then digging them up, cleaning and drying them out and weighing the “aged” tea bags and comparing them with an untouched one, the different soil microbe activity levels in various soil types and zones can be determined (ie how fast the soil microbes are breaking down the tea leaves in the bag). What an incredible new use for such a common household item! Can’t wait to see the results as they start to come in from the first Little Desert project! You can hear about them as they happen by following us on Instagram via @faunaresearchalliance and on the FAUNA Research Alliance Facebook page (https://www.facebook.com/FAUNAResearchAlliance).